There's a time and place for everything. Today is such a time that I truly enjoy Happiness To Burn. I'm a bit tired, a faint sore in my legs' muscles from a hiking weekend, energy not too high. 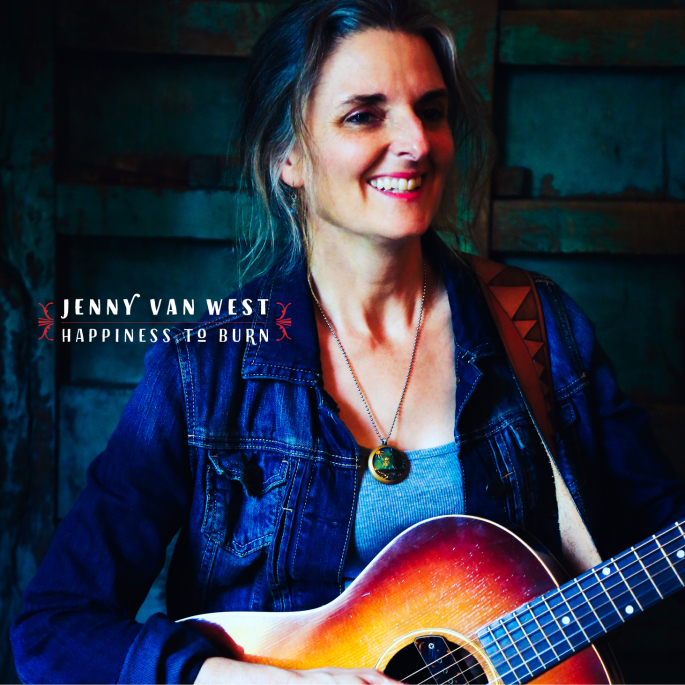 Everything on Jenny Van West's album falls right into place. On Happiness To Burn the pace is relaxed, slow and nothing much intense. The result is somehow a perfect match. Where in the past weeks when I was listening to the album I sat it aside about half way, today it is so fine and good. Is it a coincidence that Shane Alexander has produced this album? Yes, as I had found that out before I got his recent e-mail and had already decided to give the album a new try. His co-career as producer pays off nicely, as just like Shelby Figueroa's 'Highwire', Alexander manages to create the right mood to come up with a delicate album that puts Jenny Van West right in the centre of her music. That seems like only logical, but is not. Often, the singer(/songwriter) becomes a part in the producer's grander scheme of things, with all sorts of action deflecting from the source. Not on this album. Happiness To Burn starts with a 40s, 50s jazzy tune, also the title song. Which does set the novice Jenny Van West listener, like I was, on the wrong foot. After such an opening song I definitely did not expect a soft country-rocker like 'Live In A New Way' nor a beautiful singer-songwriter ballad like 'Never Alone'. In short Happiness To Burn takes many a turn. Soft drumming and almost neutral bass playing leaves all the room for an acoustic guitar or two to support the pedal steel that steels the show, bar Ms. Van West who, as I already wrote, is the centerpiece of this album. Everything about 'Never alone' is so modest, yet rock solid. Nothing takes anything away from a beautiful song like this. 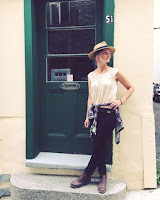 Jenny Van West has a soft voice that somehow does not have to force itself in any way. She sings with ease, in a very clear way. She reminds me of several U.S. singers, but I'll refrain from comparisons here. She is a force in her own soft and modest way. 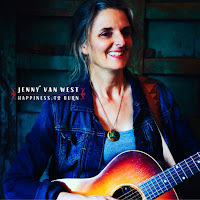 With Happiness To Burn Jenny Van West releases her second full album after 2015's 'Something Real' and the EP Honey And Hive' (2016). For all purposes this is beautiful album to release. It ought to find many ears to land in and never to leave again. It found me at the right moment and will most likely never leave again. With its diversity ranging from the Andrew Sisters jazzy outings to modern singer-songwriters folk, roots rock and ballads many genres are, successfully, provided for. Each genre and style doing just fine as presented back-to-back on this selection of songs. Happiness To Burn indeed.